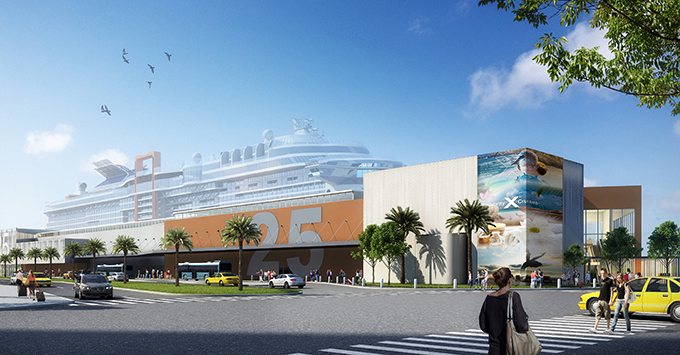 (12:57 p.m. EDT) -- Celebrity Cruises has released renderings of its new terminal at Port Everglades (Fort Lauderdale) -- due for completion in late October 2018, just ahead of the launch of the line's Celebrity Edge cruise ship. Terminal 25 will feature innovative technology such as an expedited check-in process that uses facial recognition and LED light effects that will wrap the terminal’s exterior. 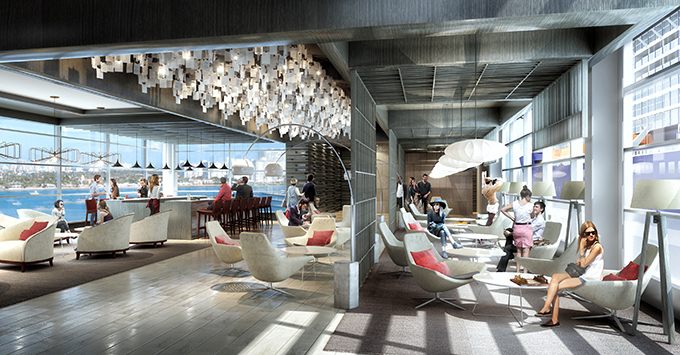 Suite passengers also will be treated to an exclusive lounge, screening area and rooftop terrace. "When designing the revolutionary Celebrity Edge, we knew we wanted to design a terminal that perfectly complemented the ship and matched its one-of-a-kind experience,” said Lisa Lutoff-Perlo, president and CEO of Celebrity Cruises. "With cutting-edge technology, in service of a gorgeous design, T25 is that perfect new home." Celebrity Edge will call the port home when it debuts in late November; Celebrity Reflection, Celebrity Silhouette and Celebrity Infinity will also homeport at Terminal 25 during their winter seasons in the Caribbean. When Celebrity Cruises is not using the terminal, it will be open to other cruise lines. Port Everglades sees roughly 335,000 Celebrity Cruises passengers each year. Once Terminal 25 is complete, the line expects to increase its passenger traffic at the port to 500,000 travelers per year. Terminal 25 was originally built in 1992 and renovated in 2004, when a section to provide an additional elevator was added. Its retrofit is a collaborative effort between Celebrity Cruises, Port Everglades and architectural firm Bermello Ajamil & Partners, Inc.